We all know that testing is not representative of real-world use, but Telstra, Australia’s largest carrier, is busy massaging its network in preparation for the introduction of two next generation devices. Stating that the carrier will be introducing two “Category 4” devices this year, Telstra is getting the most out of its spectrum and is coming up with some great results, well ahead of any LTE Advanced development. Category 4 or Cat4 refers to hardware which can process data downloads up to 150Mbps. 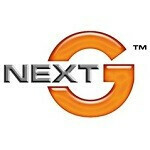 Current devices on the carrier’s 4G LTE network, branded as “NextG” are “Category 3,” (Cat3) which are rated to 100Mbps. As the carrier endeavors to make its network more efficient, the faster it will get for everyone. Just like other major markets in any country though, time-of-day congestion, weather, and demand have impacts on network performance and speed. Telstra currently tells its customers to expect typical downloads between 2-40Mbps. However, the carrier’s lab testing of new equipment is showing download speeds in excess of 100Mbps and in markets where it has 20MHz of contiguous spectrum (Perth and Esperance), speeds over 90Mbps are being experienced. This is using the current LTE standard which makes these developments even more impressive. That is good news for subscribers in Western Australia, as it means those markets will be the first to experience the data speed enhancements when the new devices are introduced later this year. You are wondering what these devices may be, and so are we. No specifics were offered, but one of the new devices will be a Wi-Fi dongle and the other a smartphone. Outside of that, we do not know what Telstra has up its sleeve. Telstra and Optus Mobile (number 1 and 2 respectively) are constantly trying to one-up each other in the 4G LTE race. Vodafone Australia is said to begin an LTE rollout this year, but as of now, it is eating the dust being kicked up by its rivals. Yes, definetly the best in Oz, but you pay dearly for it ! Telstra has a close relationship with Nokia, so I'd say one of the devices is a WP8 handset and the other a wireless 4G router made by Nokia Siemens. You may also recall that Stephen Elop was recently in Australia, which in my opinion is not merely a coincidence. That's impressive but do we have any applications/uses that would truly warrent that kind of speed? be honest. In the Future Absolutely, but right now? I think we're good with 42 to 60Mbps.